The SXSW Music Festival is not only one of the largest music events in the world, but also boasts a diverse lineup of artists in countless different genres from all over the globe. Creatives, industry pros, and fans travel to Austin each year to see performances from iconic and emerging talent. With so many international and regional artists, not to mention many newer acts, it’s impossible not to find something new to be excited about in our festival lineup if you are on the lookout. With that in mind, we are highlighting a selection of UK artists performing at SXSW 2018. London punks Shame were one of the breakout bands at SXSW last year, and recently released their debut album Songs of Praise to rave reviews just in time for their return to the fest. 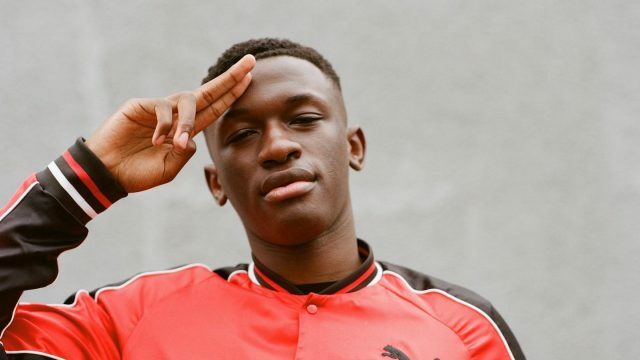 Part of the next generation of Grime talent, Hardy Caprio (pictured) breathes new life into 90’s R&B and UK Grime instrumentals with his raps. Iconic indie band The Wedding Present made waves with their self-released debut in 1987, and have an extensive catalogue of hits to draw on for their performance in March. Hailing from Manchester, the 90s-inspired pop-rock sound created by Pale Waves has already earned them a spot on BBC Music’s Sound of 2018 and MTV UK’s Brand New 2018. Fans of house music will want to check out Swansea’s Doc Daneeka, who has recently released his debut LP WALK.MAN following years of party-rocking dance singles. Recently featured in DIY Mag’s “Class of 2018,” Rough Trade’s Goat Girl (pictured) are finishing up their debut album and already on course to have a big year. Grime star AJ Tracey returns to SXSW after his great performances at last year’s event. Supergrass frontman Gaz Coombes, who was nominated for a Mercury Prize for Album of the Year in 2015, will perform in anticipation of the release of his latest album World’s Strongest Man in May. Singer-songwriter Jade Bird, who was named Apple Music’s Artist of the Week earlier this month when her new single Lottery released, rounds off today’s list, but there are still plenty of artists performing at SXSW 2018 to discover. Need some assistance sorting through the 1000+ artists we’ve announced so far? We’ve got you covered. Check out our Get to Know features on Canadian and Australian Artists, surf the SXSW 2018 Showcasing Artists Music Videos playlist, and listen to the SXSW 2018 Spotify Playlist. There are still plenty of artists to announce for SXSW 2018 so keep an eye on the SXSW Schedule for additions, and don’t forget to mark your favorites to make planning your SXSW experience even better.